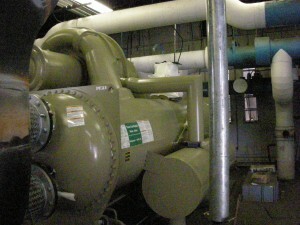 Precision Air Systems, Inc. has a reputation for being a specialist in South Florida Chiller Services. Our Factory Trained technicians are experienced in all facets of chiller operation and repair. We service all makes and models of air cooled and water cooled chillers. Chillers require preventive maintenance at regular intervals to improve chiller reliability and prevent catastrophic failure. Preventive maintenance pays for itself by keeping your chillers running at optimum performance and by identifying problems early enough to reduce overall repair cost, allow for scheduled repairs and prevent costly downtime. Scheduled maintenance establishes a baseline for comparison against future deterioration trends. 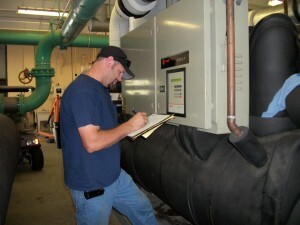 Let Precision Air Systems, Inc. custom design a Preventive Maintenance Program for your Commercial Air Conditioning and Industrial Chillers. Complete disassembly and reassembly including replacement of bearings, gaskets and o-rings to preserve the integrity and extend the life of the chiller. We are skilled and highly experienced in changing out all sizes and tonnage of every major brand of Chillers including Trane, Carrier, York, McQuay; Centrifugal, Screw and Reciprocal Chillers. 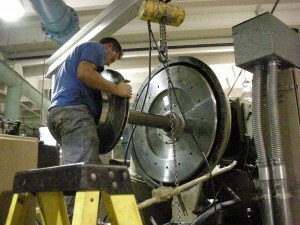 Our technicians are Factory Trained on all makes of chiller equipment. We use the latest technology for diagnosis as well as laptop capabilities using the latest software to program and service the chillers. Precision Air Systems, Inc. has a fleet of temporary mobile chillers to keep your facilities operational during a chiller failure. The estimated delivery time for a new chiller is approximately 6-8 weeks. Our temporary chillers will carry you over until the new chiller can be delivered.